← Proverbs and Ecclesiastes: Teachings for Today? In class on Monday we spent the majority of the time discussing one of the best-known psalms in the Bible, Psalm 23. This psalm, which is believed to be written by David, explores God as our Shepherd who stands beside us, comforts us, and guides us through times of deep darkness. Besides being one of the most popular psalms, Psalm 23 is a classic example of pastoral poetry. Pastoral poetry, which comes from the Latin word pastor meaning, “shepherd”, refers to literary work that deals with the lives of shepherd’s or the rural life in general. They also tend to show disparity between the innocence and peacefulness of a simplistic lifestyle and the corruption of the urban city lifestyle. Pastoral poetry often presents the text as an idealized view of what a simple and rustic life should appear like. What makes Psalm 23 such a great example of Pastoral poetry is its use of metaphors showing its harmony with nature. David, if he is the true author of this psalm, describes God as a shepherd who guides us to green pastures, water, and difficult terrain. 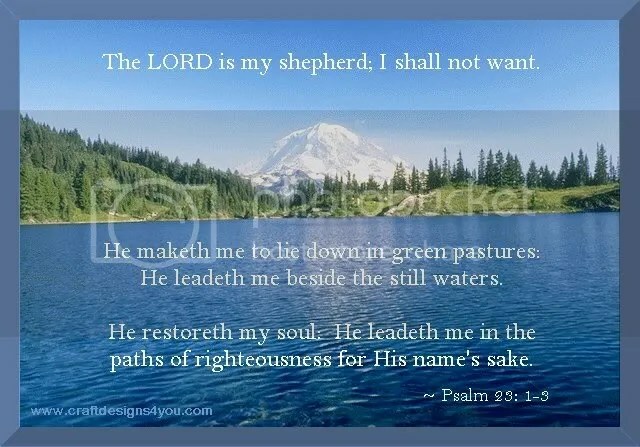 They are shown is these two key phrases found in Psalm 23: 1-2a, “the LORD is my shepherd” and “He makes me lie down in green pastures, He leads me to water in places of repose”. These phrases represent the idealized nature surroundings and how God brings us to these places of serenity, hope, and simplicity. In contrast to the nature reference that is made in the 23rd Psalm, there is also representation of corruption and complexity. In verse 4 the psalm reads, “Though I walk through a valley of deepest darkness, I fear no harm, for You are with me.” The valley of deepest darkness can be referred to corruption, distraction, technology, and even the culture of our own society. This type of “darkness” can lead to rough and difficult times of anxiety, stress, and constant worry. However the last part of the verse notes, that with God by are side, He will be able to lead us through it. When we were discussing in class the tensions of pastoral like work versus leisure, culture versus nature, complexity versus simplicity, along with the reasoning as to why people want to escape the urban city to a rustic area, the first place that came into my head is Camp Akita. 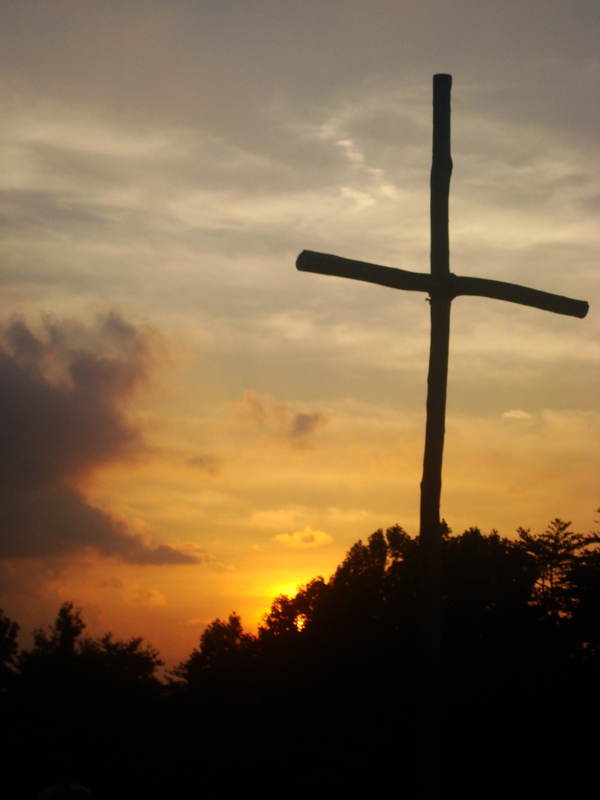 Akita is a summer Christian camp that I attended throughout elementary, middle, and high school and is a prime example of what pastoral poetry attempts to envision. 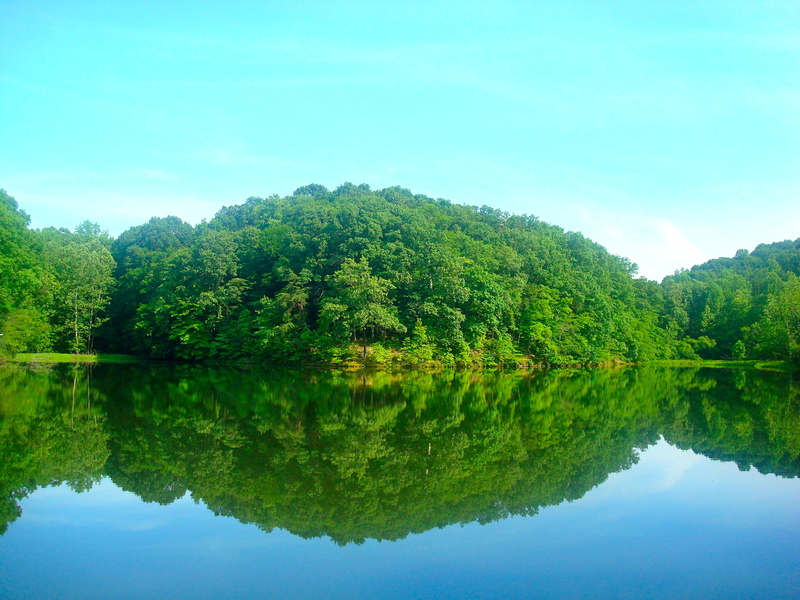 This camp is located in the hills of Ohio and is surrounded by woods and also is centered around a peaceful lake. As a camper, we are not allowed to bring any sort of technology such as computers, ipods, and cell phones to help us enjoy the scenery and escape the craziness of life back at home. At this camp, its almost as if all of our stress and worries are gone permitting us to relax and grow spiritually. One of my favorite places at Akita is located on top of a huge wooded hill, called Bald Eagle. It is called this because at the top of the hill, the trees clear out and it is a big open green field with a big cross standing in the middle. Towards the end of the week, we always hike up to Bald Eagle and have a cook out and a time of reflection. For our reflection time we just sit, by ourselves away from distracting friends, and ponder over the week we had at camp for 20 minutes. It is one of the only times in my life where I can sit in complete and utter silence and reflect on my week and my relationship with God. When reading Psalm 23, especially verse 2, and talking about what Pastoral poetry is, I envisioned Bald Eagle because to me it represents natural serenity and brings be back to the simplicity that nature can have. It is a place where I can get away from my own “valleys of darkness”, like school, work, parents, and constant stress. This escape is considered a Pastoral retreat in the Model of the Pastoral Journey. In the summer I would retreat to the rural area of Akita in search for some sort of spiritual gain and release from life back at home. However, coming back home from camp would be considered as the Pastoral return into the “corrupt” world of responsibility, cell phones, work, and the other constant worries in life. According to Greg Herrick, who has completed many studies on Psalm 23, not only does this passage represent pastoral poetry, but also there is a reason for us to respond to the pastoral journey of retreat. He claims that by entering into the green pasture (or nature is general), it signifies a God-honoring way to respond to anxiety in our lives. Although it may not completely get rid of this stress, it is a way for God to provide us with confidence, greater peace and knowledge that He will be the light during dark times. Psalm 23 demonstrates this kindness throughout the passage and gives the hope that He will also be able to relieve the anxiety from our valley of darkness.